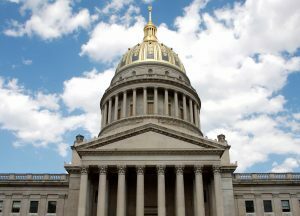 Public schools in West Virginia have now been closed for two days as teachers participated in a walkout organized by the American Federation of Teachers-West Virginia, the West Virginia Education Association, and the West Virginia School Service Personnel Association. On Friday, an estimated 5,000 teachers, parents and supporters protested at the Capitol building in Charleston. They are demanding salary raises and a fix to the state’s public employee health insurance fund so premiums don’t continue to increase. Thousands of public school teachers and employees across the state are striking in protest. Public schools in all of the state’s 55 counties have been closed. West Virginia’s 680 public schools employ 19,488 classroom teachers for the 277,137 students enrolled. In 2016, the average salary for a teacher in West Virginia was 48th in the country at $45,622, according to the National Education Association. The national average is $58,353. Teachers’ salaries have stagnated for years and increased health care costs are being borne by the employees through higher deductibles, premiums and out-of-pocket expenses. Teachers have not seen an across-the-board raise since 2014. Some teachers working for the state say that they are so poorly paid that they must take second jobs to make ends meet. Some teachers claim they have actually seen their take-home pay go down over the years. Many experienced teachers have left in search of better pay and benefits, leaving the state with a deficit of educators. Many others are looking for jobs in neighboring Ohio and Kentucky, where the pay is better. The teachers say that the pay hikes signed by the governor don’t go far enough and the unions say the raises will not cover cost-of -living increases. Teachers plan to return to work Monday, but say they’re willing to go longer if need be. It’s possible the unions will continue with isolated rolling strikes until a compromise can be reached.